Disney Pixar has just released the new Finding Dory trailer. I can already tell this is going to be a great movie. This Finding Dory trailer clocked in at just over a minute long, but it had everything I remember and love about Dory and the gang. Remember finding Nemo? Remember how much fun it was to watch Dory meander around and forget everything? Well, take that and make it its own movie! Finding Dory is going to be one of those movies that touches your heart and your funny bone in equal amounts. Remember how much fun it was to watch Dory meander around and forget everything? Well, take that and… WAIT! I just remembered I already said that! Anyway, behold the new Finding Dory trailer. What did I tell you? It’s going to be an hour and a half of Dory hilarity, and I can’t wait. Disney•Pixar’s “Finding Dory” reunites everyone’s favorite forgetful blue tang, Dory, with her friends Nemo and Marlin on a search for answers about her past. What can she remember? Who are her parents? And where did she learn to speak Whale? Directed by Andrew Stanton (“Finding Nemo,” “WALL•E”) and produced by Lindsey Collins (co-producer “WALL•E”), the film features the voices of Ellen DeGeneres, Albert Brooks, Ed O’Neill, Kaitlin Olson, Ty Burrell, Eugene Levy and Diane Keaton. “Finding Dory” swims into theaters June 17, 2016. Like us on Facebook, and follow us on Twitter, and Instagram. The Finding Dory trailer gives us a sneak peek at what is sure to be one of the funniest family films of 2016. It will feature all the signature, hope, heart, and hilarity that we loved in Finding Nemo with a distinctly Dory twist. If you loved this Finding Dory trailer as much as I did, get ready for the full-length fantasticness. 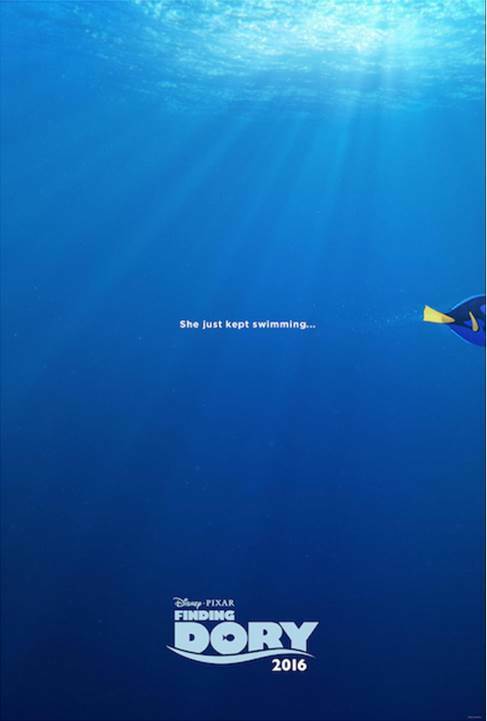 Finding Dory is in theaters everywhere June 17th, 2016. Not going to lie I think I might want to see this more than my son does haha!! Can’t wait for it!! I would love to see this with my grand kids. It looks good.